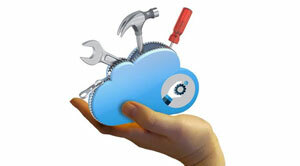 The perquisites of VDI deployment need no introduction. But the wrong storage array can pose as the showstopper for the whole process. Sound knowledge of the right storage requirements and the information about the existing array being able to handle the extra load is a necessity. Learning the types of storage arrays best suited for VDI for the firm is also quintessential. Desktops have been the core instrument of IT world ever since they first appeared on the market. Desktop virtualization and application virtualization have eased the centralized management of endpoint devices in enterprise settings. However, Virtual Desktop Infrastructure (VDI) is still distressed by a range of limitations such as client/server computing. Organizations can ease the bottlenecks and can offer future growth with vigilant capacity planning that takes into account varying demands on storage and bandwidth. Since, the VDI has come into existence increasing number of organizations are turning to a virtual desktop to simplify the desktop management model. There are various reasons why desktop virtualization often makes more sense than managing physical desktops. First, companies can provide centrally managed desktops to the users on any endpoint device—desktops, thin clients, Web clients, and more. In addition to this, organizations can lock down virtual desktops because they are controlled centrally and, therefore, are easier to control the entire network. Companies can then optimize the time spent on endpoints—the actual physical PCs—because they would no longer be required to manage the complete mesh. After all, a firm only needs these endpoints to provide a remote desktop connection to the virtual desktop. Business ventures can provide service level agreements (SLAs) only for the central desktop and not for the endpoint itself. Users can be the administrators on the endpoints, but locked down on the virtual desktop and it helps them to work freely on the endpoints. Companies can reduce costs and improve service stability because they know where the starting point for each PC is. Organizations can create locked and encrypted virtual desktop images that can be time controlled to meet the business requirements. For instance, if a company has a specific team to meet a distinct business need, they can generate time-controlled images for the duration of the effort. Information can be secured by keeping the virtual desktop inside the datacenter to retain control over the intellectual property (IP). It seems easier to maintain compliance when the IP is stored centrally and does not leave the datacenter. Critical applications can be encapsulated and isolated into specific PC VMs to assure proper operation. This way, the application does not entail to interact or coexist with any other system. The new operating system migration has become easier to perform since resources are only required centrally, not locally. It has considerably less impact on hardware refresh since endpoints only need remote desktop capabilities. It has made mergers and acquisitions easier to manage since all the desktops are centralized. With the implementation of VDI, companies can offer alternative workspaces on an as-needed basis to the employees. Since, Virtualized PCs can support testing and development environments, Virtual desktop infrastructure has become easier to manage as it offers so many options and possible configurations. Two main components make VDI system work. The first is the connection broker, and the other is a hypervisor. Simply put, the connection broker assigns inbound user sessions to a virtual desktop, and the hypervisor runs the virtual desktops. Organizations need to allocate the right amount of storage for a virtual desktop deployment as insufficient storage capacity will impair the performance of virtual instances, while too much will be a waste of capital for the organizations. Unfortunately, determining the significant amount of storage is much easier said than done. It necessitates the investment of time and effort to understand the storage needs of users. An organization can initiate the calculation by considering the IOPS (Input/output Operations per Second) performance rather than the capacity. Software tools can also help identify the key performance characteristics for each user. Virtual desktop infrastructure workloads have different storage requirements than the physical server workloads. Physical servers generally have steady storage requirements with certain peaks and lows. While, VDI workloads can be very quiet one minute, and extremely demanding the other as they are made up of many small loads with respect to the number of users. VDI storage depends on the deployment size and can be broadly categorized under small and large. A larger virtual desktop infrastructure deployment is more difficult to accommodate. When a company is virtualizing more than half of its desktops, the added VDI load could be too large for their old storage array. If the VDI workload happens to be smaller than the work load on the physical servers a firm may choose to use the same storage in the existing environment of the organization. This should ideally work when five to ten percent of desktops are virtualized and the storage array still possesses a good amount of spare capacity. It can be useful if a firm checks out its existing array and see if it can support segregation of their physical server load and VDI load, before going ahead and purchasing the solution. If an organization can offer good storage performance for the physical servers even when the VDI load stresses the storage array, then the two loads can coincide on one array. To segregate the different loads, it is good to have a storage array that extends support for multi-tenancy system. Failing to segregate the server and VDI storage loads on one array, can lead to the need of a new storage array just for virtual desktops. To get the best virtual desktop infrastructure storage performance, a company can select a completely different model or vendor than they use for their existing storage system. An organization can also try a different transport protocol, for instance, moving to internet protocol based VDI storage rather than the traditional fiber Channel. Having the right storage for VDI is significant for business success. For a small VDI deployment, the current storage array may be adequate, but larger implementations may require isolated workloads or a dedicated array for virtual desktop infrastructure. It can be useful if the new storage system fits virtual desktop infrastructure storage requirements and that the storage and virtualization expert’s needs are met.